What is a guy to do when it's too cold outside to work on his Jeep? Bake! 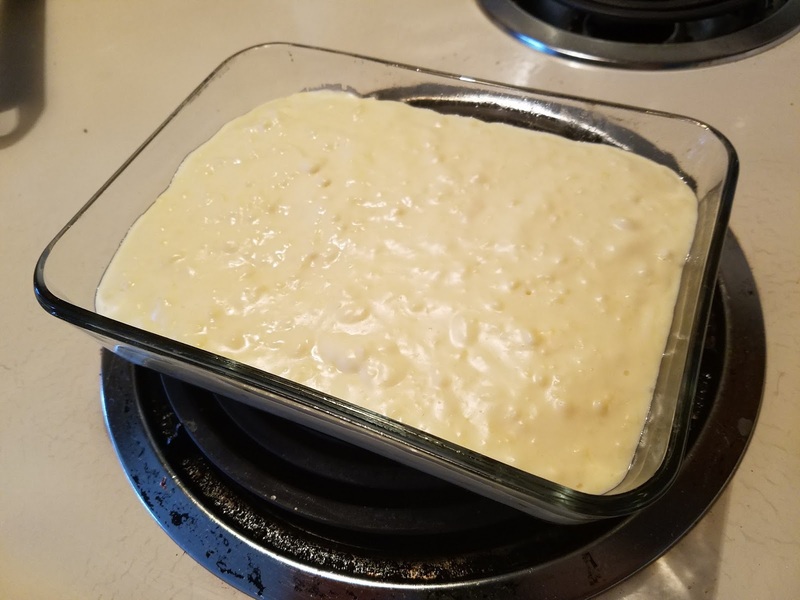 I figured that I would play with the cheesecake recipe that came to mind after being inspired by a similar one on Facebook last night. Now, this isn't as low carb as it could be and should be considered a "sometimes treat". The good news is that I also made it a semi fat bomb by adding some butter and coconut oil. This means that not only does it taste good but its super filling. I don't have an official recipe but here is the basics. 1 1/2 Cup Almonds ground into crumbs. 2 TBL Spoons of Splenda. This was a guess. 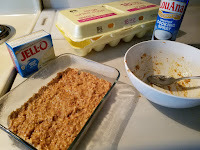 Combine the dry ingredients and the egg. Mix until it becomes a paste. Grab a baking dish and spray with coconut oil. Flatten the paste to the bottom of the dish. Bake in oven at 300 for about 20 minutes. Put cream cheese, butter on coconut oil into pan and let the ingredients soften. Then add the almond milk and sugar free pudding mix. Once the mixture is smooth take out the crust and pout it over the crust. Place in the fridge to cool down and harden. I'm not sure of that the serving size should be but my guess is 1 is not a good idea. I plan to cut it into 6 or eight squares. If any of you have ideas on how to improve this recipe or the baking process let me know!